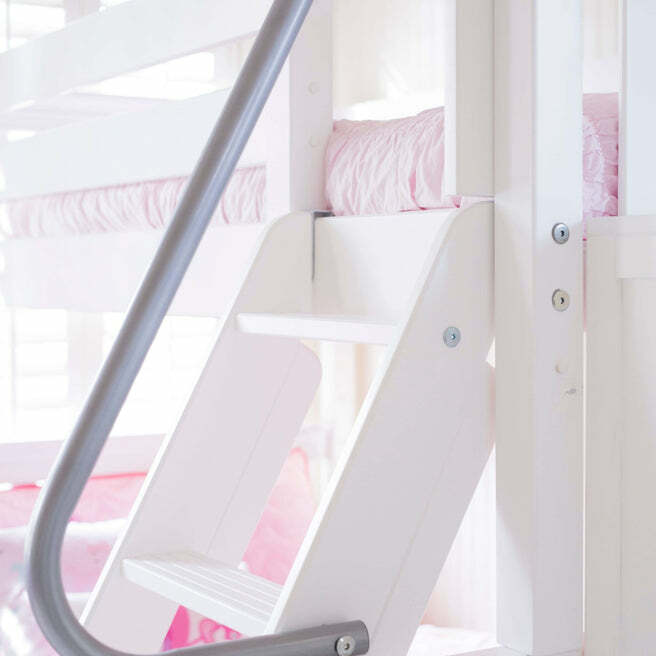 We added a slide to our classic twin over full bunk bed for the ultimate combination of fun + function. Staggered design sleeps different sizes and ages comfortably in one room. Climb up angled ladder with sturdy handrail, then take the slide back down. 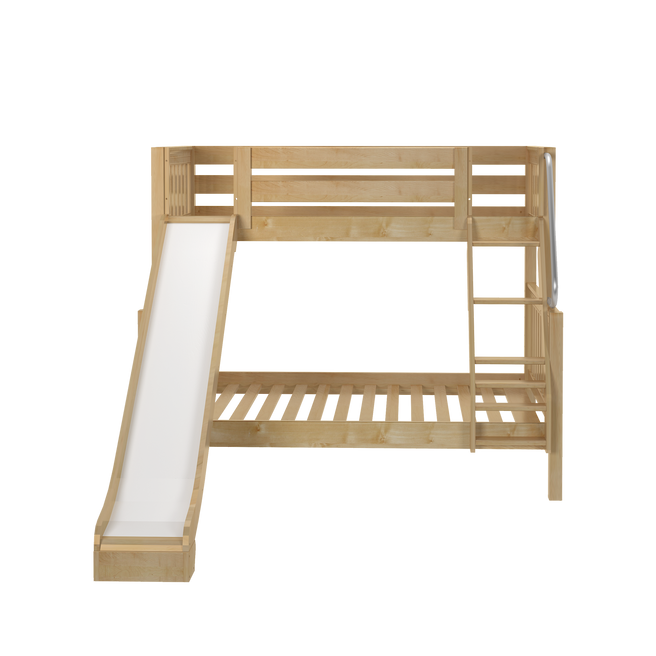 Choices: Available in natural, white or chestnut finish; and with slat, panel or curve bed end style. 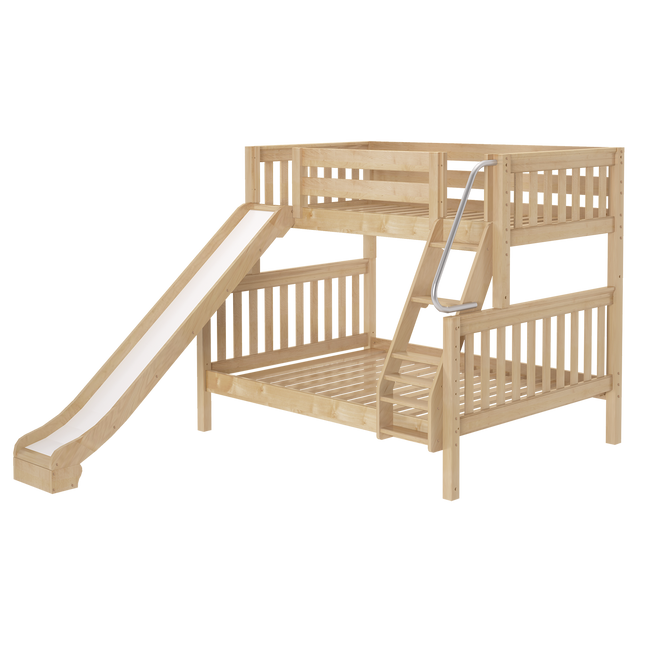 Our twin over full bunk with slide puts a fun spin on a classic style giving you the very best of sleep and play! 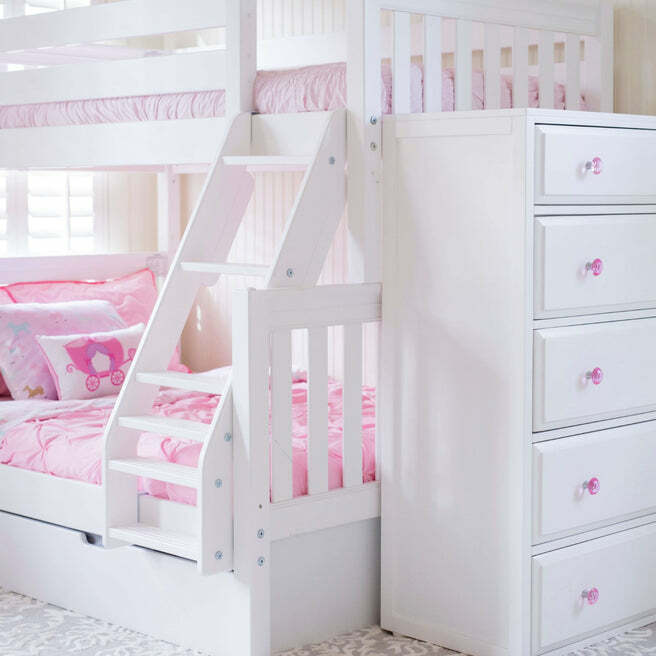 By combining full bed on the bottom with a twin up top you’ll always have a place for a friend during sleepovers, or accommodate a growing older child in a shared bedroom. Parents appreciate the extra room to stretch out at story time. It also provides comfortable sleeping quarters for adult overnight guests. 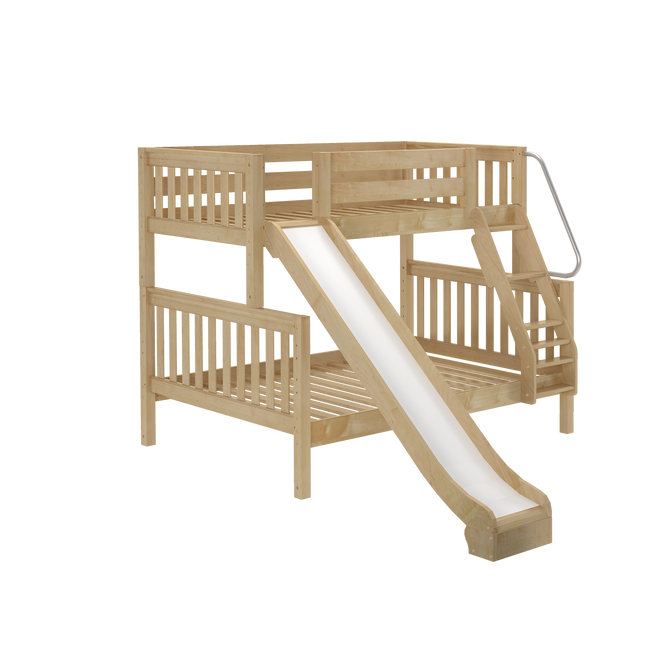 Climb up solid wood angled ladder with extra wide, grooved steps and sturdy handrail, then take the slide back down. 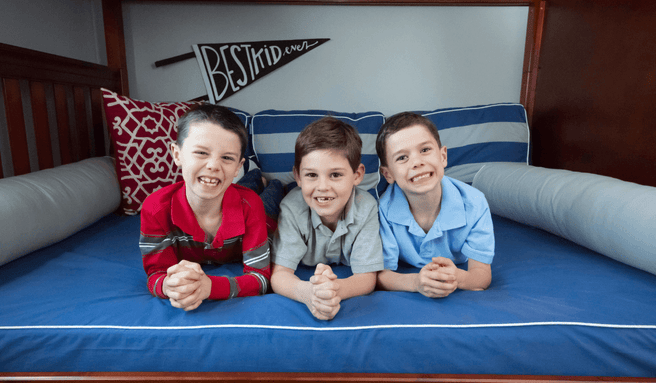 Patented rock lock system connects the beds securely and prevents wiggling. 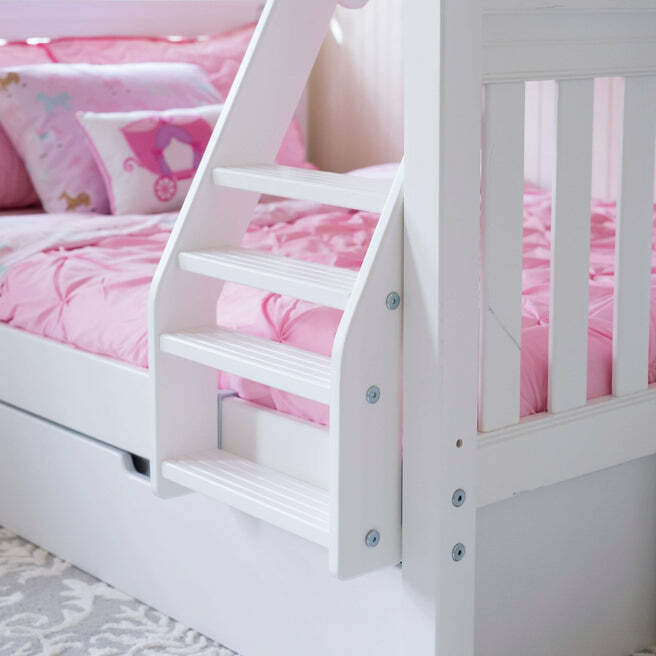 Convert as your needs change – easily remove the slide, separate into individual twin beds, or swap the ladder for a staircase. Overall: L: 80" x D: 107" x H: 66.25"
NOTE: Slide and Ladder are reversible and can be positioned on either side of the bed.